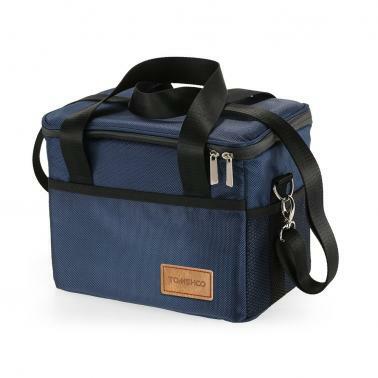 This insulated bag has four compartments, 1 main compartment for food or beverage, 1 front pocket and 2 side pockets for easy access to other smaller items. With insulated walls and waterproof taped zipper seam, this bag can keep your food hot/cot for hours! It has a removable clear transparent PVC lining to keep the bag from being ruined by the food liquid, very convenient to use. 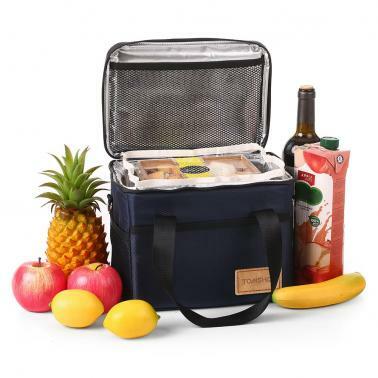 It is foldable and lightweight, very convenient to store in a backpack or car trunk, perfect for outdoor picnic, school, BBQs, camping, sporting events, hiking, car trip, work, and much more. 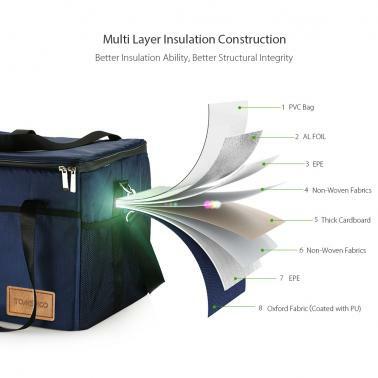 Large Capacity: This insulated bag features 4 compartments to provide enough storage space: spacious main compartment with a interior mesh pocket, open-top front pocket for easy access, two side pockets to keep items visible. 4 sizes are available to choose: 10L, 18L, 28L, 37L, 47L. 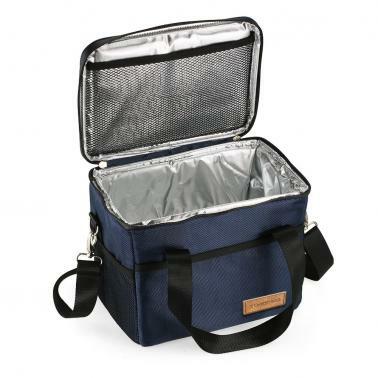 Fully Insulated: Lid top dual-zipper padded main compartment with fully insulated walls and waterproof taped zipper seam keeps the food or beverage hot/cold for hours! Water & Leakproof: Clear transparent PVC lining fits the main compartment perfectly and keeps liquids inside without making your bag wet and dirty. It is removable and easy to clean. Sturdy and Foldable: Well constructed with water repellent oxford cloth for extra durability and toughness. The flat bottom insert offers a strong support to keep everything stable in the bag, simply detach it and fold the bag flat for easy storage in your backpack or car trunk. Convenient: Double hand straps and removable shoulder strap for convenient carrying, great carrier bag for outdoor picnic, school, BBQs, camping, sporting events, hiking, car trip, work, and much more.